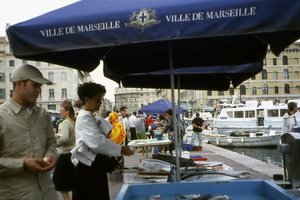 It seemed right that Marseilles should live up to its shady reputation when our first encounter with it was the Gauloises-smoking taxi-driver who ripped us off by overcharging for the journey from station to hotel. Asked if the taxi was metred, he gave a Gallic shrug and raised his eyebrows in amazement that we should think otherwise. When we got to the hotel however, he announced in a mixture of languages, that ‘Zee taxi-metre ees kaput’. We managed to laugh as we paid up, for just being in Marseilles, the oldest city in France and a melting pot of east and west was exhilarating. Its origins go back to 600 B.C. and take in Greek and Roman occupation as well as the various kingships of France. It was one of the most successful trading cities in the Mediterranean, its port favourable to commercial activity and despite invasions, plague and revolution, business prospered on an international scale. The best place to start exploring is at the Vieux Port, guarded at its entrance by two massive fortresses. 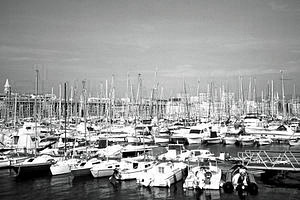 The expensive sailing boats and yachts that crowd the marina just off the Corniche is one example of how far this once seedy Mediterranean port has come. 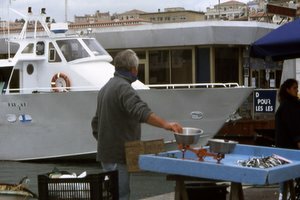 A few rough-looking cafés still line one side of the harbour, as though in homage to old black and white movies of the past, and the waiter with sleeked back hair who served us could have come direct from central casting. 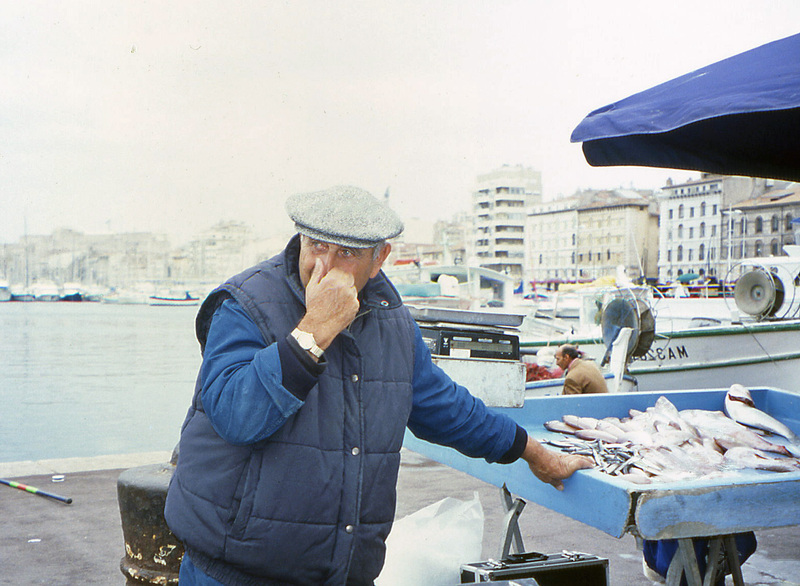 Posher restaurants line the Place St. Saens on the other side, and throng the Quay des Belges where just after dawn, fishermen and chefs from the top restaurants planning that day’s menus, haggle over the night’s catch. The same fish goes into the superlative boullabaise, a thick, spicy, fish stew, the gastonomic delight of France’s southern shores. If you haven’t tried it before, or if your previous experience of this dish disappointed you, try the Marseilles version. Fish soup it is not. Before embarking on a major tour of the area, take the two rides that are available on the ‘Petit Train’ which runs from the Quai des Belges in the Vieux Port. 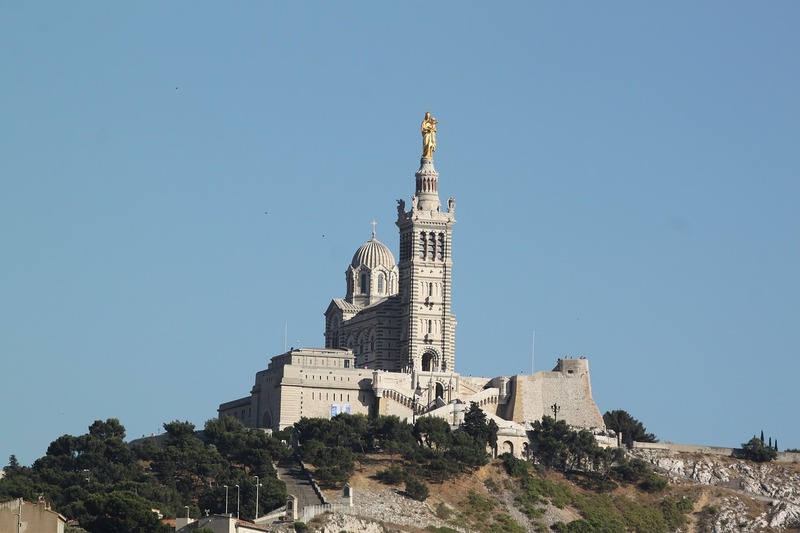 The 50-minute ride goes up to the church of Notre Dame de la Garde, an enormous Romano-Byzantine basilica which stands on the highest point of the city, surmounted by the gilded statue of the virgin and child. The area was a look-out post until 1978 which has resulted in Garde Hill becoming an urban as well as a sacred symbol, and the spectacular views over the city prove just how effective the look-out must once have been. The second ride circuits Vieux Marseilles via the Cathedral and the Panier quarter, wheezing and shuddering through the steep, cobbled streets of the old city. Both rides give an excellent introduction to the architecture and the landmarks of the area, easy to locate on your free map. From the old port you can take a ferry to the Frioul Islands in the bay, and the 16th century Chateau d’If , immortalized by Dumas as the place where The Count of Monte Christo was imprisoned. 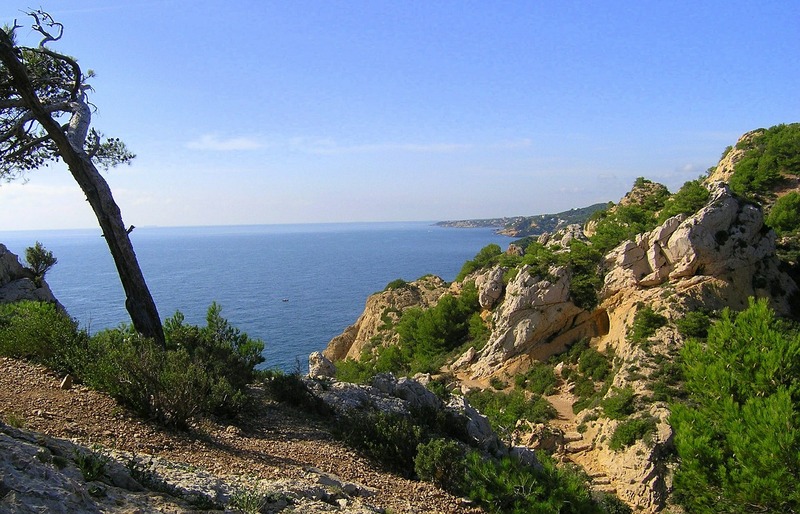 Chateau d’If has reinvented itself and although its history includes no written record of the imprisonment of Edmond Dantès, that doesn’t stop the locals offering trips around the dungeon where he was allegedly imprisoned. On the other hand, there is a very visible hole in the wall which he is said to have dug. You can also visit the cell of the Man in the Iron Mask, another non-prisoner in the Chateau. The modern part of the city is a short ride away, a thriving, bustling place with wide open streets, supermarkets, and department stores, indistinguishable from any other modern French connurbation. A good way to see it is to hop on the L’Historbus that makes a tour of the city every afternoon and which covers both its modern and medieval aspects, including the Abbaye Saint-Victor with its sarcophagi dating from the 3rd – 5th centuries. 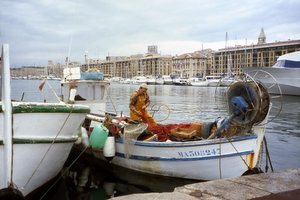 Marseilles is a vibrant, bustling, untidy city, full of colour and gaiety, due in no small part to the heavy ethnic mix of North Africans, Tunisians and Algerians. The apache dancers, the matelots and the inky black bars have gone from the seafront, but Marseilles still has attitude: cynical, sharp, and witty. That edgy feel is still there. Just what I remember in fact, from those the old black and white ‘B’ movies I saw years ago. Marseille was a much bigger city than I had bargained for, but so full of interesting sights. Looking forward to returning at some point. 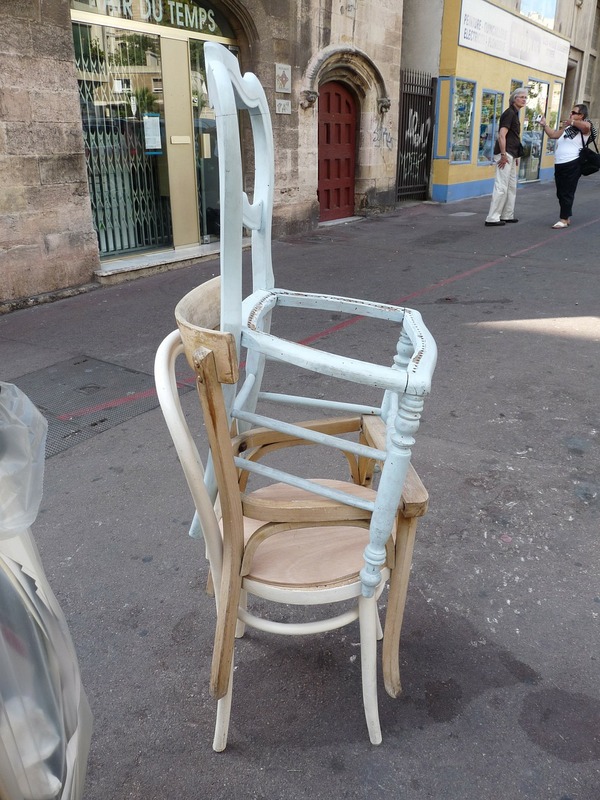 I’m thinking about Marseille so this post tis good to find! I only had a weekend there but I loved it. I didn’t bother with the new town, the old had enough charms for a couple of days.